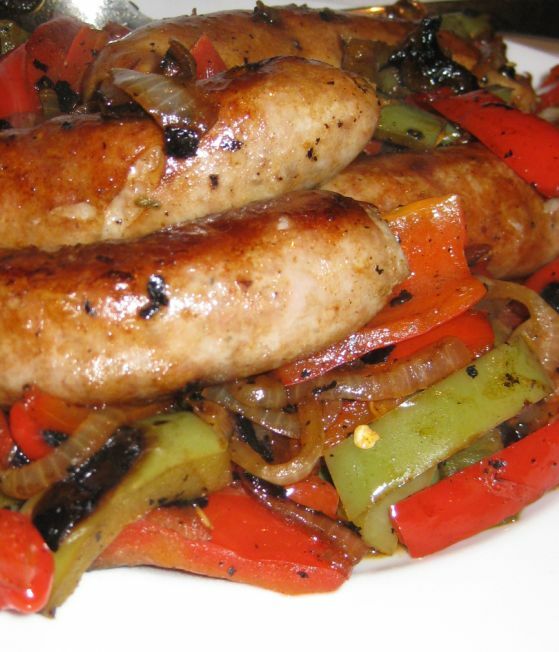 Italian sausage and bell peppers recipe is a very popular recipe and I simply love the taste of sweet and tangy bell peppers together with caramelized onion. 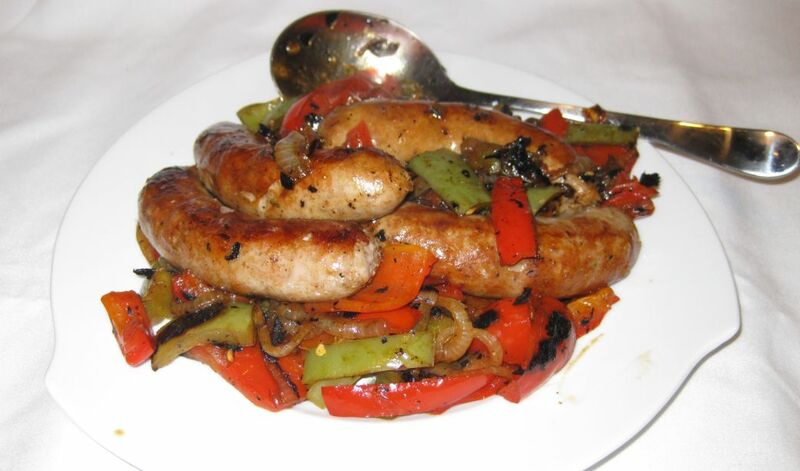 I usually like Hot Italian sausage but I have to settle for the mild one because Kevin can't handle the heat. 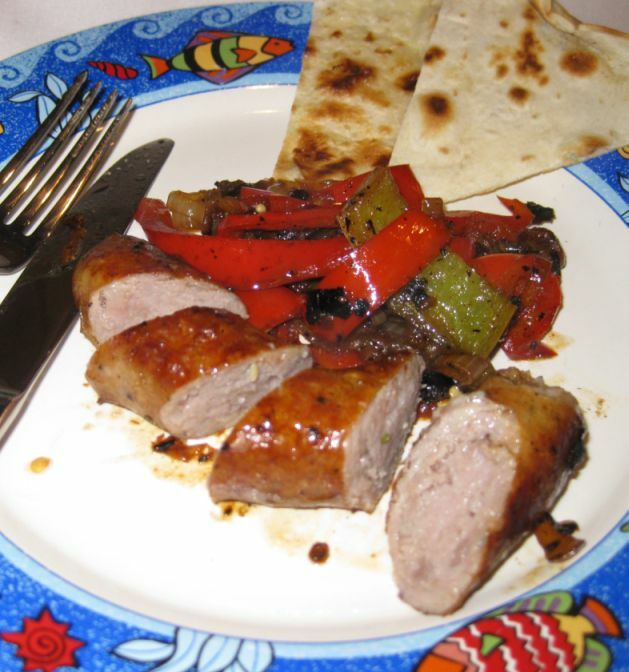 This is an easy dish to prepare during week day. 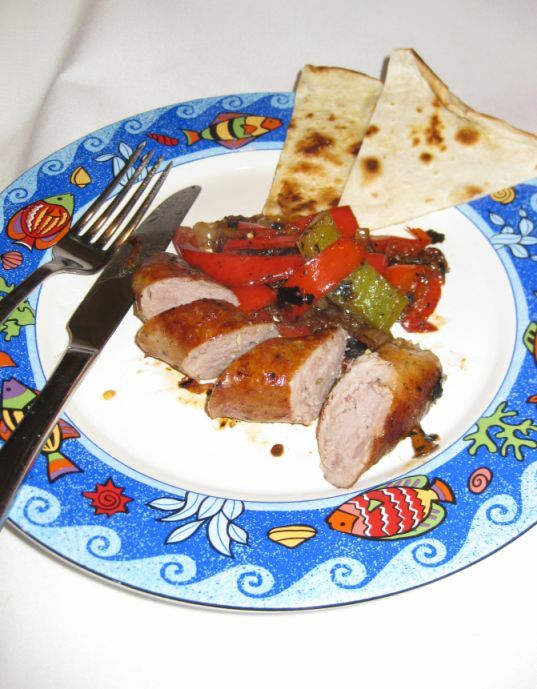 There are only a few ingredients and it can be ready in a flash. 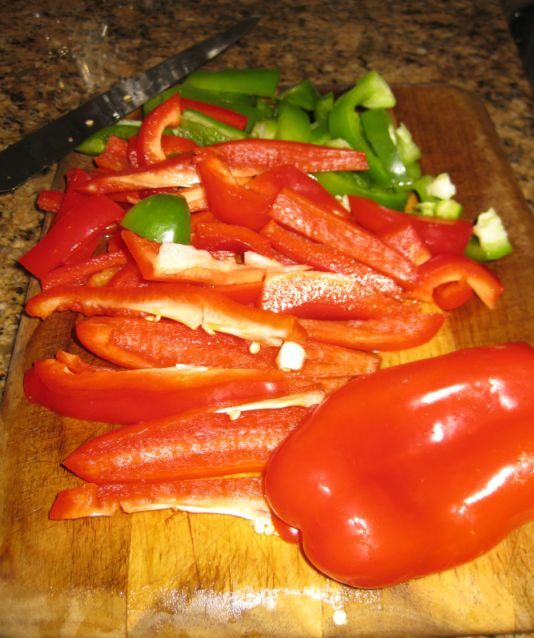 The color of the bell peppers are so vibrant and so beautiful to look at. 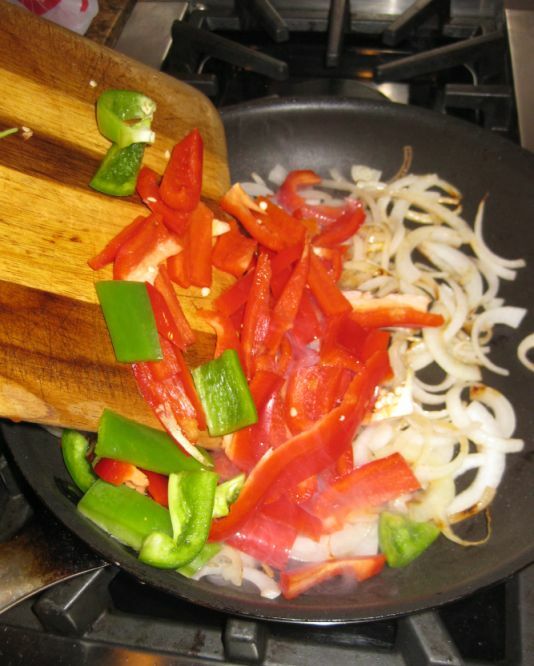 You can serve this dish with any type of pasta, white rice. bread. or here I am eating it with some tortillas. 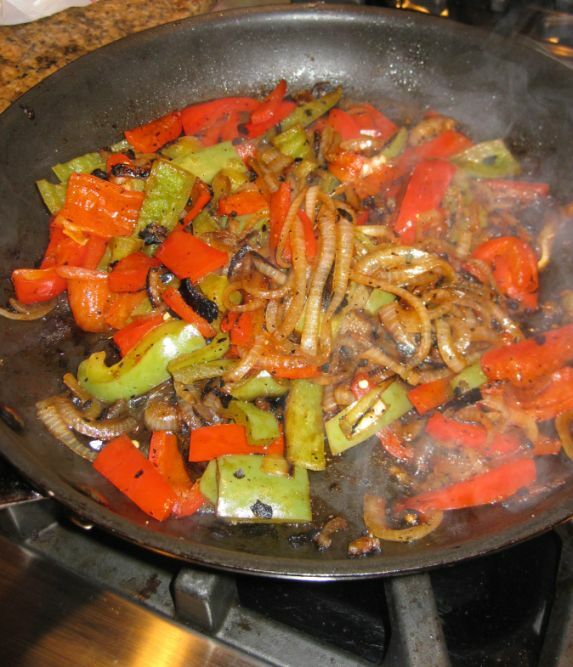 Add the bell peppers in the pan with the onion and the turn the heat to low to medium low. 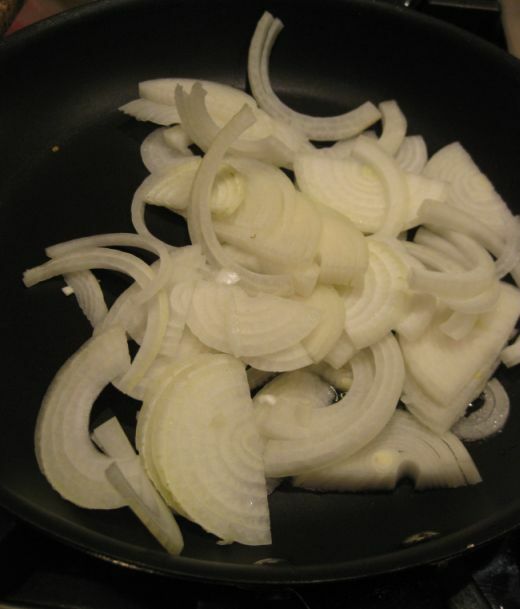 Add a bit of water and cover the pan with a lid and let it cook for about 5 to 6 minutes. 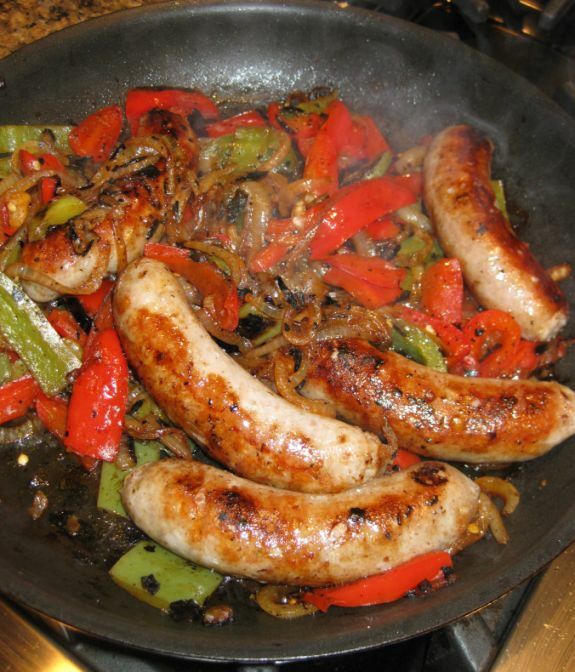 While the bell peppers and onions are cooking put the sausages in a pan and pour the 1/2 cup of water in then pan. 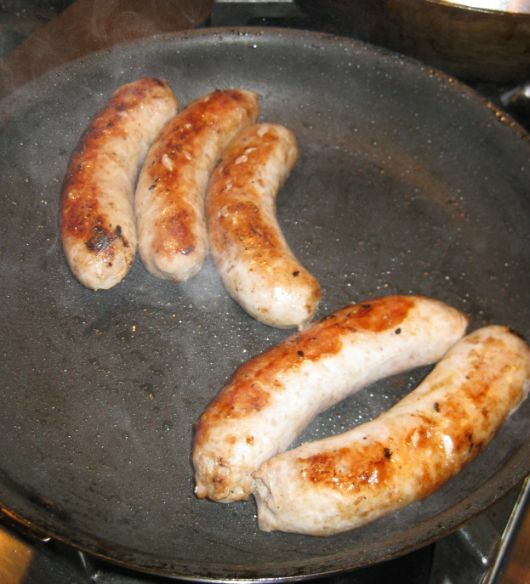 You want too steamed your sausage and make sure the inside is cooked. 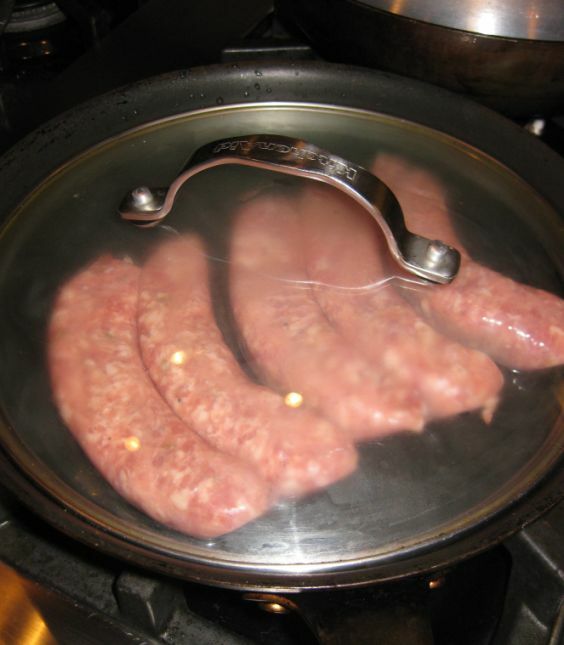 One all the water has evaporated remove the lid and brown the sausages. 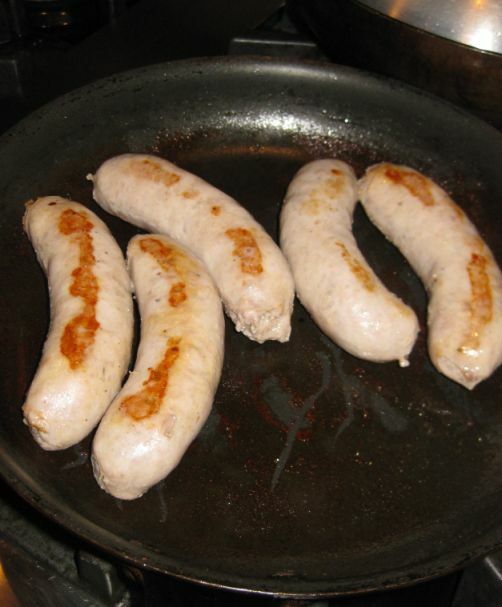 Turn the sausages has a nice color. 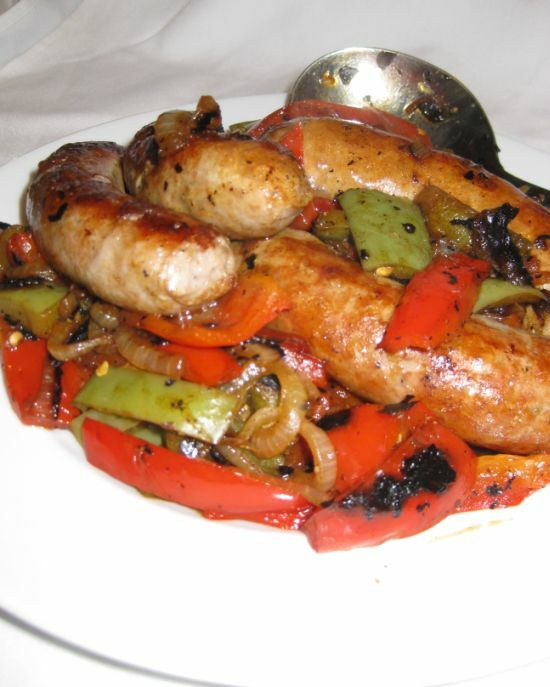 By the time the sausages are done your other pan with the bell peppers and onion should have caramelized and the bell peppers should bee soft and sweet. 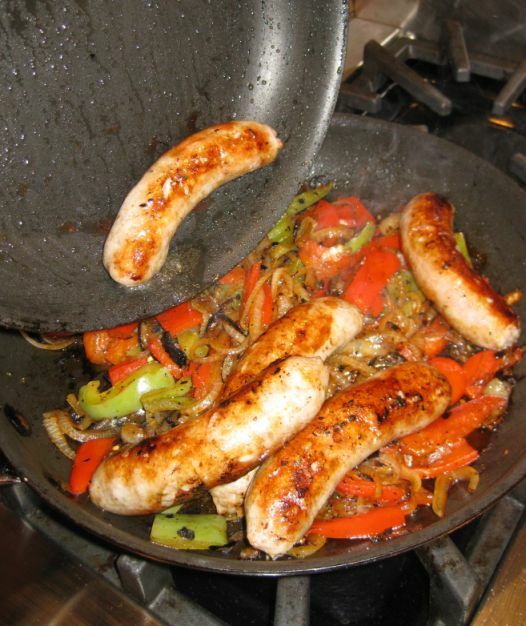 Pour the sausages in the same pan with the bell peppers.